We found 34 independent new or used book stores near 97327 with open storefronts. If you are interested in visiting one of these stores, we highly advise that you contact them first by e-mail or phone to verify store hours. And, be sure to say "Biblio says hello!" when you stop by! Small shop just dealing with things gathered from estate sales. I sell primarily at science fiction conventions, and sometimes at historical reenactment events and Renaissance Faires. I have many of my books signed by the authors who attend SF conventions. Most of my inventory is new, in the areas of science fiction, fantasy, some mystery, and some "Historical reenactment"-related titles (everything from historical novels to "how-to" books on historical costuming to books on medieval archaeology). All books ship in boxes, and are packed with care. I will happily supply images of any item in advance of purchase, please ask. Don't let our love of vintage microscopes and scientific lab equipment throw you off. We have been growing our collection of rare and seriously interesting books for years and are ready to set a few of them free. We have a wonderfully small operation and we have every intention of keeping it that way! We are committed to providing quality homes for all of our books. I used to own a book store in New Jersey, but now I'm basically retired and work from my house in beautiful downtown Oregon! Riversong Books. Online sales. Vintage First Editions. Most of our items are in used condition. 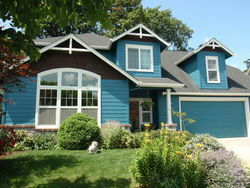 All exlibs and condition issues are clearly disclosed in our listings. Please read listings carefully prior to purchase. 30 day return guarantee, with full refund including original shipping costs for up to 30 days after delivery if an item arrives misdescribed or damaged. Also specializing in: Vintage Used First Editions. Cauthorn Fine Books.We specialize in finding quality books for the discriminating buyer. Pony Express Books is my way to restore my mind after 20 years with a mega-company- where I suffered with arbitrary opinion makers, who had little regard for satisfied customers. My family has enjoyed horses, and we have ridden many miles of the Pony Express trail. I have a mixed inventory of western history, graphic novels, religion, firearms, however no topic is off limits, and I'm looking to fill niches. We are an internet based business, specializing in science fiction, fantasy, horror, pulp and digest magazines, and vintage paperbacks. 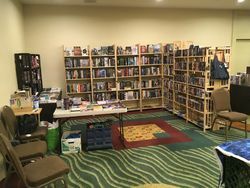 We also sell at science fiction conventions and antiquarian book fairs. 44 years experience in the book trade and 24 years experience selling online. I list carefully and attempt to be thorough in my descriptions. Books are packed in cardboard with all necessary wrapping to make sure that they get to you safely. In business of over 20 years we sell gently used books in a wide variety of subjects. Studio Books is located in the University town of Corvallis, Oregon. Visitors are welcome by chance or appointment. Over thirty-five years of bookselling experience. Home based business, by appointment. In business since 1992; About 9000 children's literature and picture books available at our site www.oldchildrensbooks.com. We also have a good collection of folk and traditional music, @900 titles. An experienced online bookseller with an attraction to unusual titles and topics. I pride myself in accurate description and strong customer service. We stock an ecclectic collection of books ranging from late 19th century classics to contemporary self-help with special emphasis on works of religion and philosophy. Just-Because-I-Feel-Like-It SALE... 25% off ALL BOOKS!! !The Sensible Magpie is the newest venture of a full-time beekeeper and busy mother of two small children. She has experience as an assistant to an IOBA bookseller from whom she procured this eclectic collection of books. They range from children's books to philosophy, illustrated classic novels to modern poetry, Northwest history to Japanese architecture, cookbooks to handgun manuals, and much more. We've been in business since 1987 and operate an open shop in downtown Eugene. We specialize in academic titles, primarily in the areas of theology, biblical studies, philosophy, and related topics. We are located in the basement of the Theo's Coffeehouse / Whirled Pies Pizza building on the corner of 8th & Charnelton (note: you won't see a sign on the building indicating we're inside, but enter at the main doors, and walk towards the murals on the back walls and you'll find our stairway leading to the basement. Our hours are Monday-Friday, 10:00 AM-5:00 PM, and possible Saturday hours by appointment.